Request an Appointment Missing Teeth? 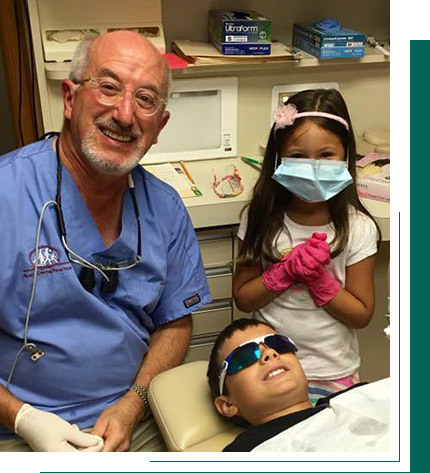 Thanks to our team of three highly-experienced dentists and terrific staff, we can take care of all your family’s dental needs under one roof. With us, you won’t have to run across town to different offices to take care of you, your children’s, or your parent’s teeth. Whether you need basic preventive care, renewing restorative treatments, or beautifying cosmetic dentistry, you’ll find it all right here at our Newington office. We’ll make sure the next family picture you take will be filled with healthy, clean, and beautiful smiles! Get everything your family’s smiles need at one location. Our fees are competitive and we help maximize your insurance. When you come to see us for the first time, our friendly team will make you feel like you’ve been with us for years! You’ll be greeted with a smile as soon as you walk in the door, and you’ll only have a few moments to enjoy our waiting area before you’re escorted to a treatment room. There, you’ll get to meet your dentist who will spend a little time getting to know you and asking about your dental concerns. At our practice, we strive to get to know our patients beyond their teeth so we can better personalize their care. 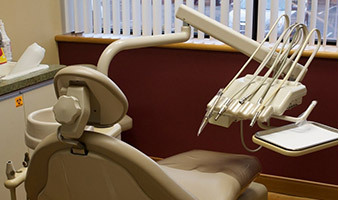 After that, your doctor will perform a thorough oral exam and take some x-rays to evaluate your current dental health and formulate your customized treatment plan. From there, you’ll have a chance to ask any questions you might have, and then we’ll end the appointment with a refreshing dental cleaning. Great dentist and fantastic friendly staff, each and every one. I have been a patient of Dr. Fink for about 25 years and have always felt well cared for at this practice. Staff is very efficient and their office is comfortable and well maintained. Thank you Dr. Fink and staff! My husband and I have always had great service and Dr Fink and his staff are awesome! They listen and help you feel relaxed.